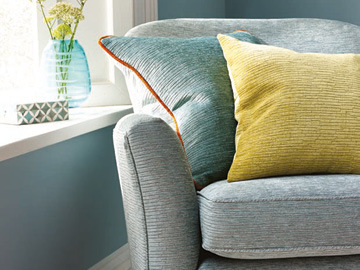 Our absolute specialism is hand sewn curtains, nothing looks quite the same. We pride ourselves on our attention to detail. With our creative knowledge alongside our technical expertise we can create that perfect designer look for you. 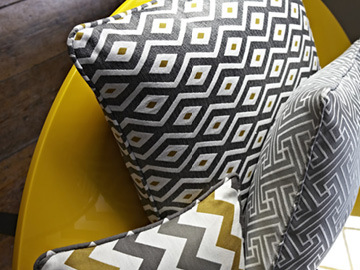 Choose from our comprehensive range of fabrics for your curtains including, Clarke & Clarke, Harlequin, Prestigious and Ashley Wilde or supply your own fabric, heading and style and we do the rest. 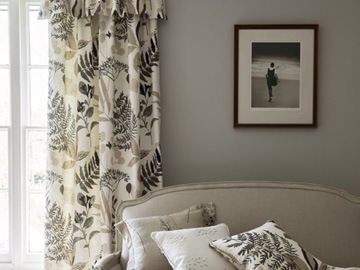 We also offer a range of quality ready- made curtains from leading manufactures with a alteration service to ensure the perfect fit. 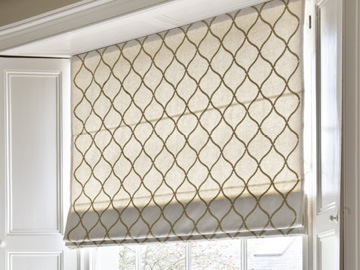 Made to measure blinds are very popular, with many different styles and designs available. They work really well in both modern and traditional properties and can be mixed with curtains, sheers or just left on their own. They are generally very cost effective as they use less fabric than curtains. They can be enhanced by adding a contrast border or some beading. Blinds can be fixed to simple batons with cording, or tracks with chains. Delete the section in red.We can add remote controls so that they can be electrically operated as well. 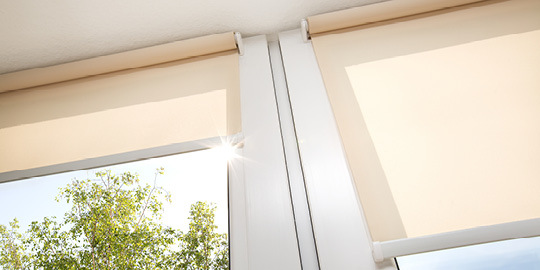 Blinds can be fitted either inside or outside a window. They are great where light or space is an issue and can show off a special fabric to its best advantage. Change your bed linen and lift the look of your bedroom. Our range of top quality bedding from leading manufactures will ensure and instant new look for your bedroom. We have a wide range of styles and colours to choice from. It’s one thing making a pair of beautiful curtains or a blind, but quite another fitting the tracks and poles properly and then hanging the curtains to best effect. Achieving that professional ‘interiors’ finish is a skilled job and one we take pride in. You will be delighted to know that we offer an optional fitting and hanging service so that we can make sure that the whole project is completed properly to your complete satisfaction. Purchasing a beautiful pair of crafted curtains that are designed to be enjoyed for many years to come. 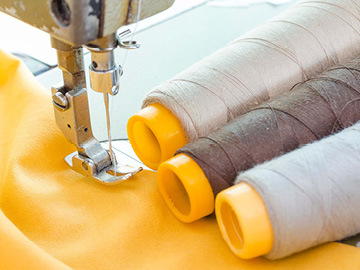 This is why we understand the need for a professional alteration service to ensure that even when moving home or redesigning your existing one that the option of altering your already owned loved curtains or blinds is there.